Paulist Fr. Jim Haley is a family man. It may seem an oxymoron for a priest. Yet he has scrapbooks full of memories that parish families gave him as he moved from one community to another over 50 years as a priest. Fr. Jim has served parishes in Athens, TN, Minneapolis, MN, Morgantown, WV, Tucson, AZ, Layton, UT, and Toronto. 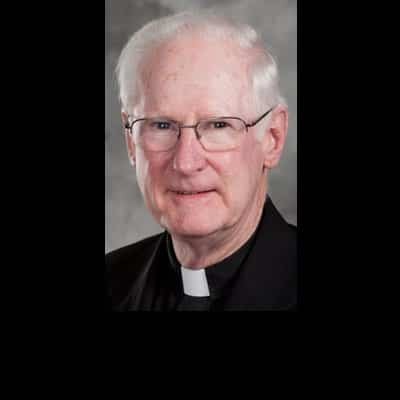 He also served at the Catholic Information Center run by the Paulists in Grand Rapids, MI. Fr. Jim was pastor, at two separate times, at Immaculate Conception Catholic Church in Knoxville, TN. Not that there weren’t challenges – a couple times Fr. Jim felt the pull to start a family himself. But, he says, something always pulled him back and he feels he came out stronger for having been tested. When Fr. Jim first inquired about being a Paulist Father, he was impressed that the community sent a priest from Boston up to meet him in Nova Scotia. Fr. Jim described that priest as “down-to-earth,” a quality that he liked. The Paulist Fathers community also appealed to Fr. Jim because he was a shy young man. He thought that through the Paulists, he might be touched with the boldness of the community’s namesake: St. Paul. A few generations before, being a Catholic priest was unheard of in Fr. Jim’s family. His maternal grandfather, Fr. Jim says, “pretty high up in the Masonic order.” Fr. Jim was raised Catholic because his mother had converted and his father was Catholic as well. Things changed, though on the spring morning when Fr. Jim was ordained on April 27, 1968. Fr. Jim says he started feeling called to the priesthood early on. As he learned more, and read Jesuit Fr. Teilhard de Chardin’s work on the idea of the Cosmic Christ, Fr. Jim’s understanding of God meant that his work and thinking somewhat encompassed those childhood career dreams. In that way, while Fr. 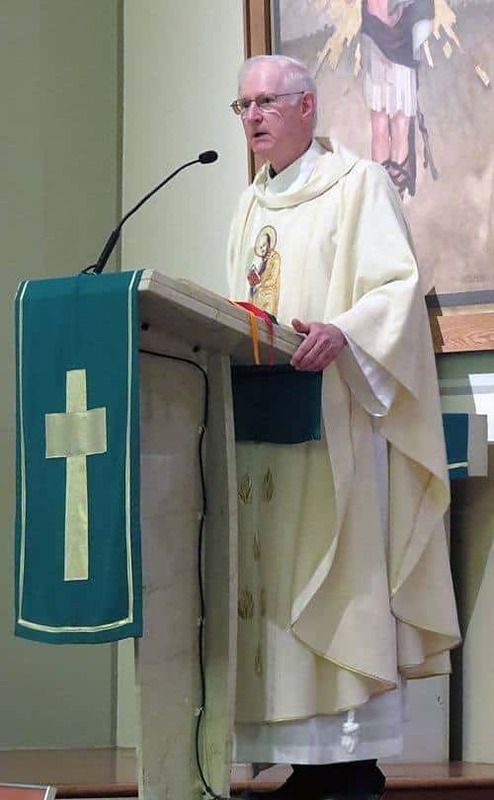 Jim lives near the Paulist community in Knoxville, TN, he’s still connected to his parish families, and their impact on him remains. Jennifer Szweda Jordan is a writer and radio producer based in Pittsburgh.